Five years ago this month, Nokia announced a set of Symbian handsets which were to be among the very last of such devices they would produce. These were the low-end Nokia 500, mid-range Nokia 600 (later cancelled) and the higher-end Nokia 700 and Nokia 701. The Nokia 701 was the most powerful of the bunch, and is certainly one of the best Symbian handsets ever made. Inside was a 1GHz CPU (a later software update would boost this to 1.3GHz) with 512MB of RAM and 8GB of internal storage, which may not sound like a lot but the lightweight Symbian Belle OS ran very quickly indeed with those specs. On the back was an 8 megapixel camera with dual-LED flash, and on the front was a 3.5" 360 x 640 ClearBlack display. The display was a little small even five years ago, but it was exceptionally bright and clear. Symbian Belle was the final version of the Symbian operating system and it really was as polished as it could possibly be. It was this final iteration of the OS that was the best, and it demonstrated how quite modest and relatively inexpensive hardware could be used for a very satisfying user experience. All of this was something of a shame as Symbian was essentially dead since Nokia had announced that it was moving to Windows. The 701 was really only ever going to appeal to die-hard Symbian fans and it didn't really sell in very large numbers. Typical prices for a used unlocked version seem to be about €35 or so. 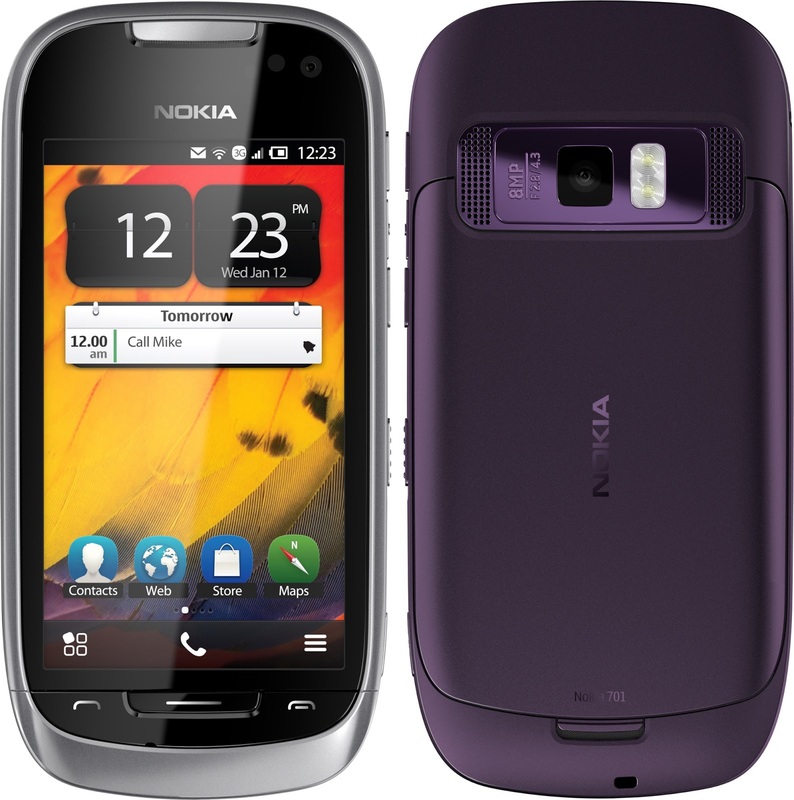 The Nokia 701 wasn't actually the last Symbian device to be launched (that was the rather special Nokia 808 Pureview), but the release of mainstream Symbian handsets ended abruptly in September 2011. It was a sad swansong for Symbian which had dominated the market during the decade that it was introduced with the Nokia 7650. Less than three years later, Nokia sold its mobile phone division to Microsoft.